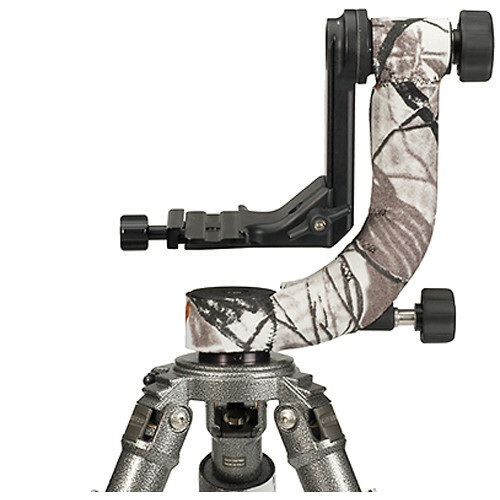 This Realtree AP Snow Neoprene Cover from LensCoat is a protective covering designed to fit the Sirui PH-20 gimbal head. Its closed cell neoprene construction helps to shield the PH-20 from routine wear and tear and also acts as a thermal barrier, protecting the users hands from hot or cold components. Box Dimensions (LxWxH) 8.0 x 5.5 x 0.8"
Neoprene Cover for Sirui PH-20 Gimbal Head (Realtree AP Snow) is rated 5.0 out of 5 by 1.